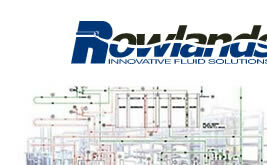 Rowlands Sales Company is a turnkey provider of new and reconditioned sanitary processing equipment, including storage and multi-compartment tanks, bulk farm and processing tanks, centrifugal and positive pumps, homogenizers, separators and clarifiers, filling and material handling, heat exchangers and HTST systems, butter and cheese equipment, ice cream equipment, refrigeration, washing equipment, laboratory supplies and other miscellaneous and sundry items. Please review our web site and see how we can help with your specific project. ©2012 Rowlands Sales Company, Inc. All rights reserved.